If you’re off on holiday to Germany or a German speaking country this summer, or are just taking a short weekend break, you will want to have these useful expressions in your pocket. Goodbye Auf Wiedersehen / TschA?ss (owf vee-dair-zayn / tchews)a�? Thank you Danke (dahn-kuh) a�? My name is…a�? Ich heiAYe (ikh hie-ssuh) a�? Nice to meet youa�? SchA�n Sie kennenzulernen a�? How are you?a�? Wie geht es Ihnen? (vee gayt es ee-nen) a�? Where is…?a�? Wo ist…? (voh ist…) a�? I would like (2 bottles of water) Ich mA�chte (zwei Flaschen Wasser) (ikh merkh-tuh)a�? How much is that?a�? Wieviel kostet das? How do I get to…?a�? Wie komme ich zum (m/n) / zur (f)…? a�? I dona��t understanda�? Ich verstehe nicht (ikh fehr-shtay-eh nikht)a�? 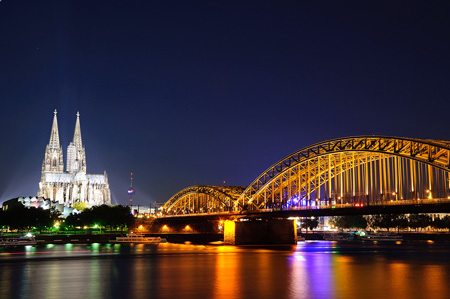 Cactus offers German Language Holidays all over Germany, and German Evening Language Courses across the UK.